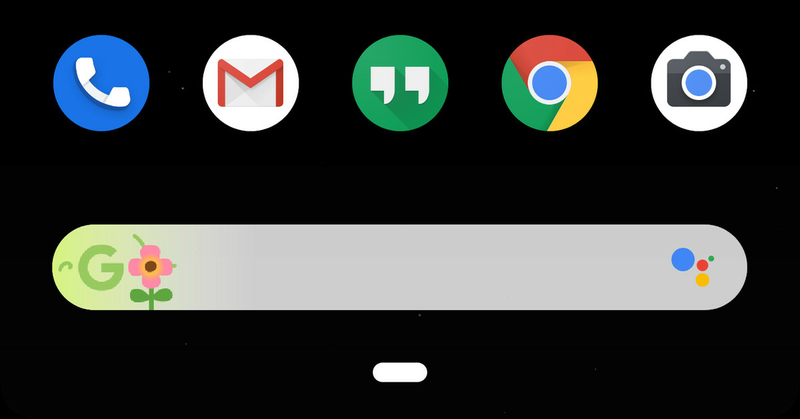 If you are looking for your Google Pixel search bar on the home screen, that is because Google is bringing its Google Doodles – the Google logo for special events – to the Pixel's home screen search box. It's not the first time Google has experimented with displaying its Doodles in places other than the homepage, either: it recently displayed Doodles in the Discover feed as well. The first Google Doodle debuted in 1998 in honor of the Burning Man festival. Now, the first Google Doodle to be displayed on your Pixel's search bar represents the official start of spring, which is today, March 20th. The Doodle is a stylized version of Google's "G" logo, with a letter animation of a flower emerging from it. It's a nice change of pace from the usual multicolored "G" logo, but if you don't have any Doodles displayed on your home screen, you can disable it. Just tap and hold on the Pixel launcher's search bar, and tap on the "Searchbox effects" slider to disable it. However, if you change your mind and want a surprise once in a while, you can always enable Doodles on the home screen again.